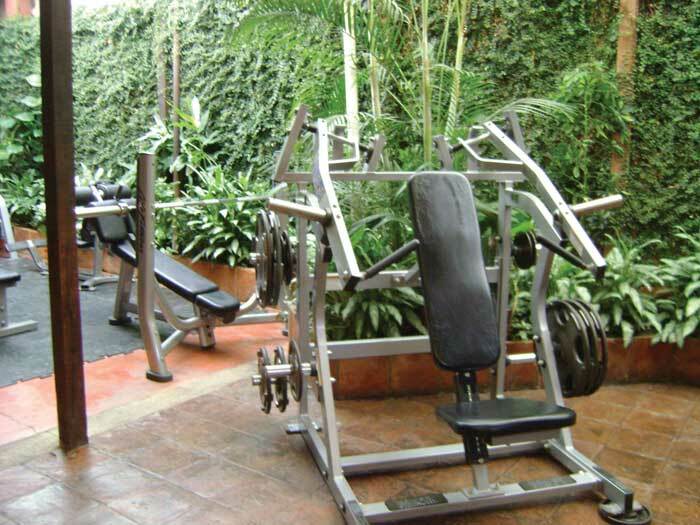 Located at 6a calle poniente #31, An- tigua’s Gym has been giving locals and visitors alike a place to work out for the past nine years. The gym itself is unique. Pass through the reception area into the central room and you’ll find yourself under a large tent, simi- lar to a big top at the circus. The giant can- vas cover is functional and quirky and gives the space an open, airy feel. 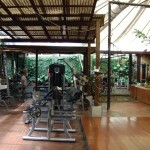 The rock wall in the back of the gym is covered with vines and plants—another interesting feature. With fees ranging from Q35 for a one- day pass to Q245 for a monthly member- ship, there’s a plan for everyone. 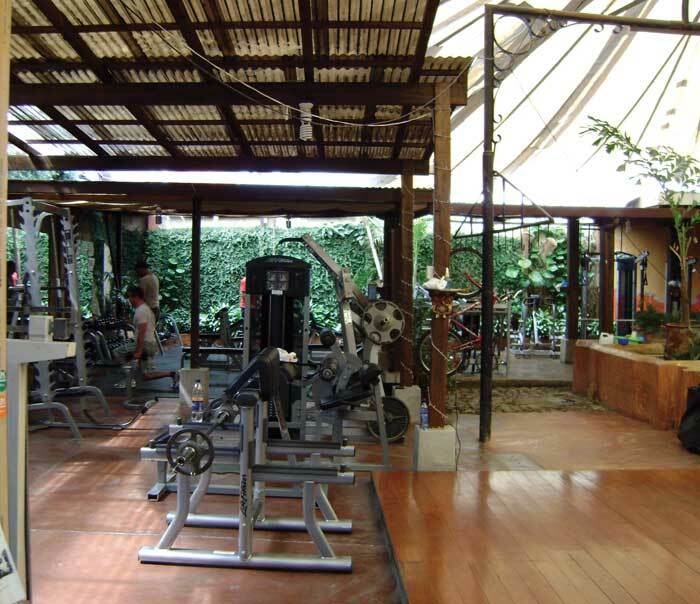 If you won’t be in La Antigua Guatemala long but want to get in a few workouts during your stay, the gym also offers 8-, 12- or 15-visit plans. 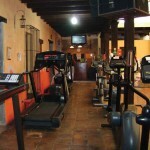 Gym membership includes group classes as well as getting advice from a trainer during your workouts. If you’d like to hire a trainer for a personalized one-on-one session, there is an additional fee. 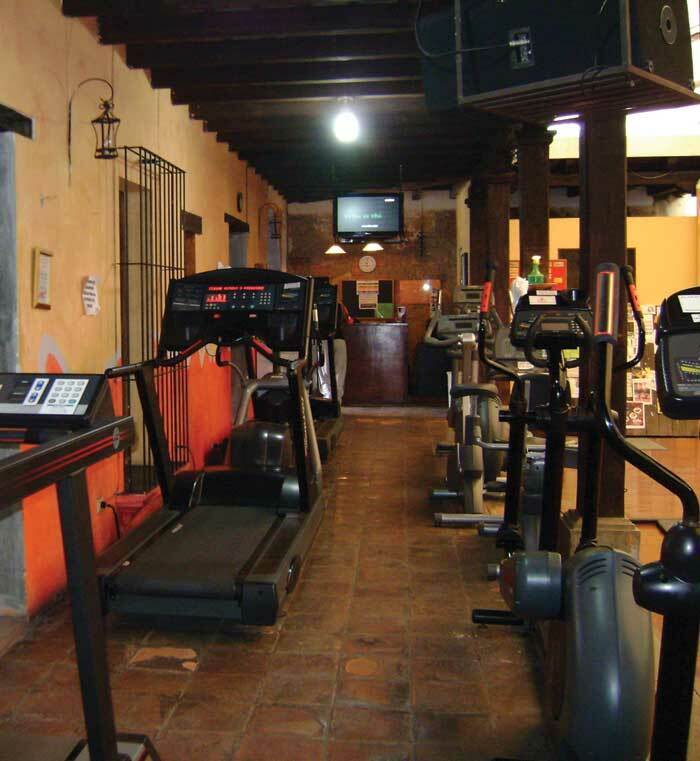 If you prefer to work out on your own, An- tigua’s Gym offers all of the latest equipment, including treadmills, elliptical machines, sta- tionary bikes, punching bags and exercise balls. 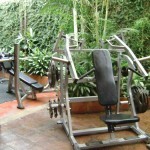 There’s also an area with free weights and other muscle-building equipment. Antigua’s Gym is open Monday through Friday from 5 a.m. to 9:30 p.m., from 8 a.m. to 5 p.m. on Saturdays and from 8 a.m. to 3 p.m. on Sundays.